Have you been looking for ways to create service agreements online for your clients and vendors? With Formplus, you can get contracts signed without printing, faxing or scanning at any point. By the time you get to the end of this article, you will know how to create service agreements/contracts using online forms with Formplus and understand how to use digital signatures in forms. It is important to note what a service agreement is and what cases it can be used. A service agreement or contract is a legally binding agreement between two parties, where one party agrees to provide a particular service to the other party. When creating an online contract, it is important to spell out the details of the agreement to avoid any ambiguity. Before creating anything to document an agreement, it is important that you consult a lawyer. A service agreement is a business document and decisions like that should be made with no ambiguity about terms. 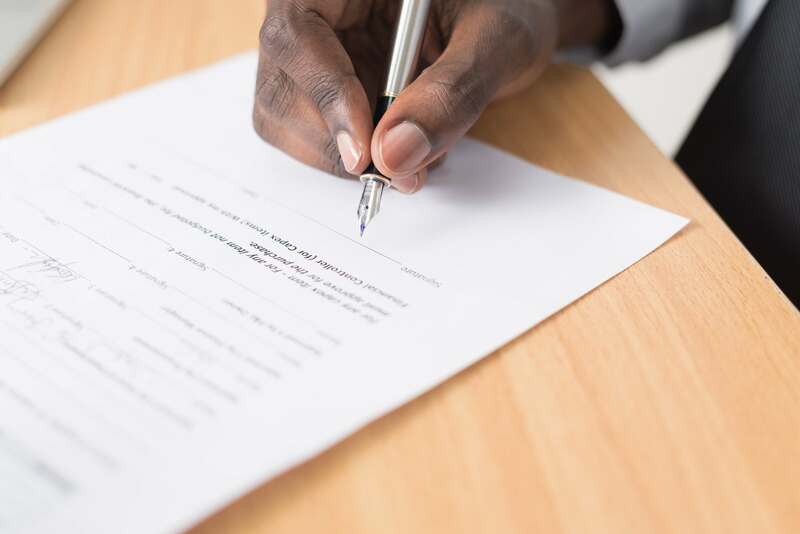 Having a lawyer to help with creating a draft ensures that the agreement is written the right way, so you can avoid legal issues down the line. If for some reason, you are unable to employ the services of a lawyer in drafting a service agreement, you can do a simple Google search to get an idea of what a service agreement for your business might look like. Now, let’s go on to creating service agreements online with Formplus forms. 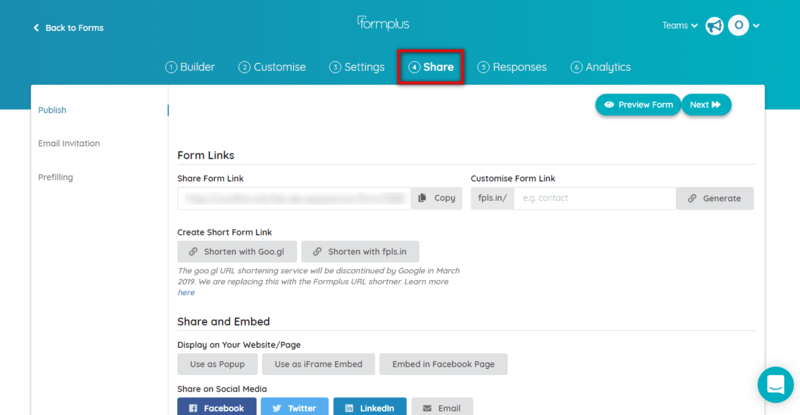 How do you create a Service Agreement Online Form with Formplus? The Formplus’ drag and drop builder has over 30 form fields that can be used to build an online form. Fields to collect name, email, payments and most importantly in a Service Agreement form, online signatures. The first step is to sign up for a 21-day trial on any Formplus plan of your choice to explore the features of the form builder. After which you can start to create online forms with signature. On the Form builder, there are 6 categories for form fields: Inputs, Advanced Inputs, Choice options, Ratings, File upload, Payments, and Media and Structure. By clicking on a category, you can drag the appropriate fields to create your online form; In the input section, use a short text field for name and address, email field, phone number, and signature field to collect signatures. To put your fields side by side i.e up to 3 in a row, click on the Media and structure and then “Add Row” to your form. Few things to note about the Signature field; signatures are stored as image files in your preferred storage option. You can save the signatures with a field in the form, simply click on the field edit button, and then select what field to be used. For example, you can save the signatures with the names from each submission. Once you save your form, you will be directed to the form customization page. You can also switch between pages by clicking on the Customisation button on the second row in the builder. Remember to save your form in the builder before doing this, else you will lose all form edits. In the form customisation page, you will be able to design your online forms with background images, fonts, themes, colour and also put in your preferred logo. You can also edit the text for your Submission button here. Since it’s a service agreement form, a suggested submission button text is “I agree”. 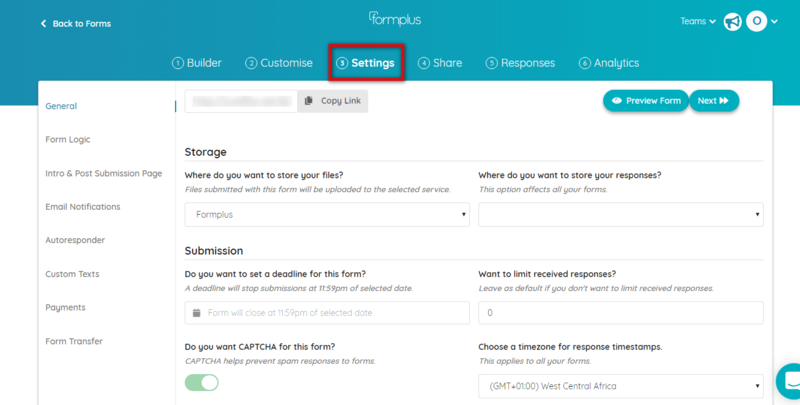 There are various settings to configure your form on Formplus. From storage to using form logic and form autoresponders, everything can be found in the Form Settings page. In cases where the service agreement form will be used as a stand-alone, that is when it won’t be embedded in a website, you can create an introductory page stating the terms and conditions for the contract. General Settings: Here you can change things like your form storage, add an option for respondents to save and continue later, limit the number of responses on a form, or choosing to collect geolocation data. Form Confirmations and Autoresponders: These are the messages that display once the service agreement form is submitted. You can use a Post-Submission page or an Autoresponder email, or a combination of both. Form Email Notifications: Notifications are a great way to receive emails or send emails to your team whenever your form is submitted. If you enable email notifications for yourself, you will get an email immediately a form is submitted. You can also send one to your teammates or anyone else that needs to be notified of a form submission. Email Invitations: In Formplus, you can invite respondents to fill a form via email and track those who have submitted/yet to submit. These invites can also be used to prepopulate a form so that as your contractor clicks the link from their email, the form autofills with the information you may already have, like Name, Email, Address, etc. Once you create the service agreement form, you can automatically add it to your website. In the Share page, select an option under “Display on Your Website/Page”. You can also shorten your form URL and even customize it. Here you can view receive responses on your forms, including the signature received. In analytics, you can see where your form link is being clicked from and track your form abandonment rate. As an extra step of caution, you can review your form to see how it looks and go back to make amendments where necessary. Now, you’re done creating a Service Agreement with signature, you can customize this job application form template with file uploads to gather all the information you need to recruit and screen new candidates. Quit waiting, get started with the most powerful online form builder with signatures. Sign up for a Formplus trial today.